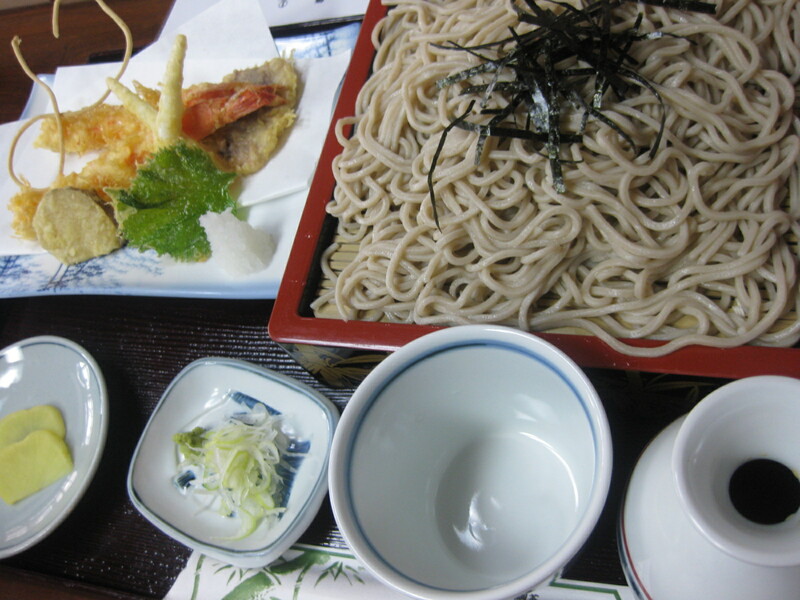 Do you like Soba (buckwheat noodle)? 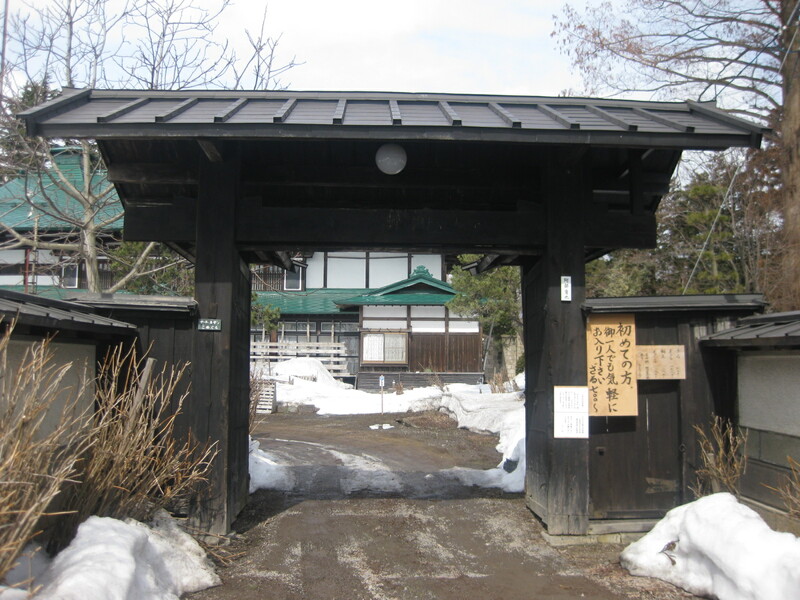 Are you interested in old Samurai houses? 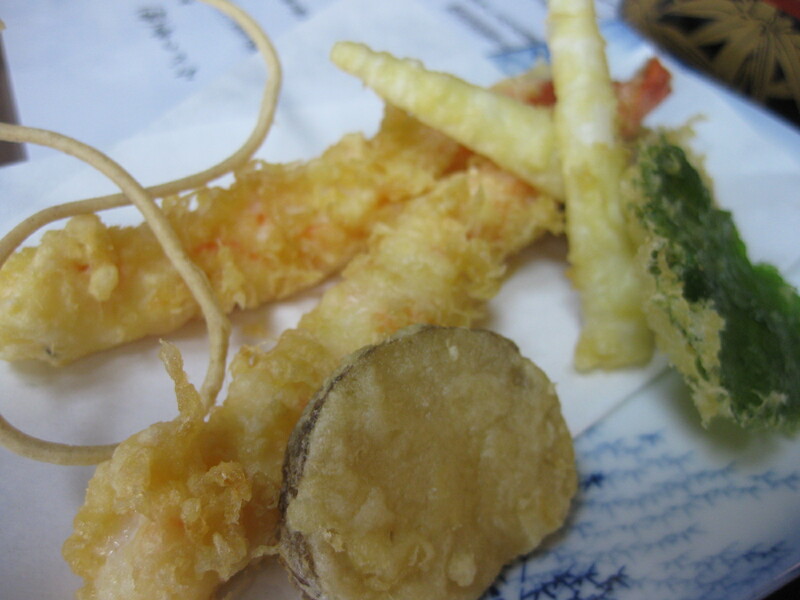 Then this restaurant is the place you have to visit in Goshogawara-City where you can kill two birds with one stone. 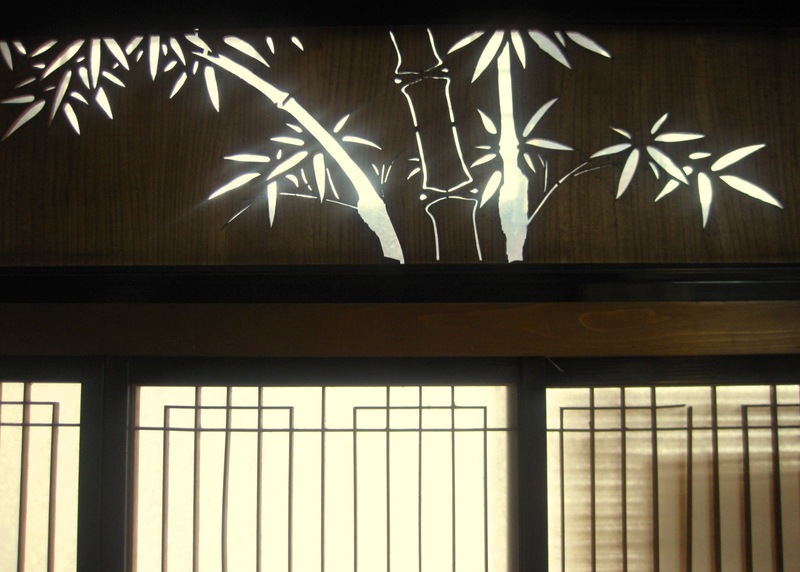 This attractive soba restaurant was opened 3 years ago, using 120-year-old Samurai house. Since it was located in the middle of residential area along the back road, I was a bit nervous that I might get lost. Soba flags led me to the gate, but I hesitated to go through the gate because it didn’t look like a restaurant. First I was impressed by many tall trees. Evergreen pine trees symbolize longevity and prosperity, which usually been planted around the samurai houses. I don’t know a lot about trees, but could tell those trees must be living more than 100 years. 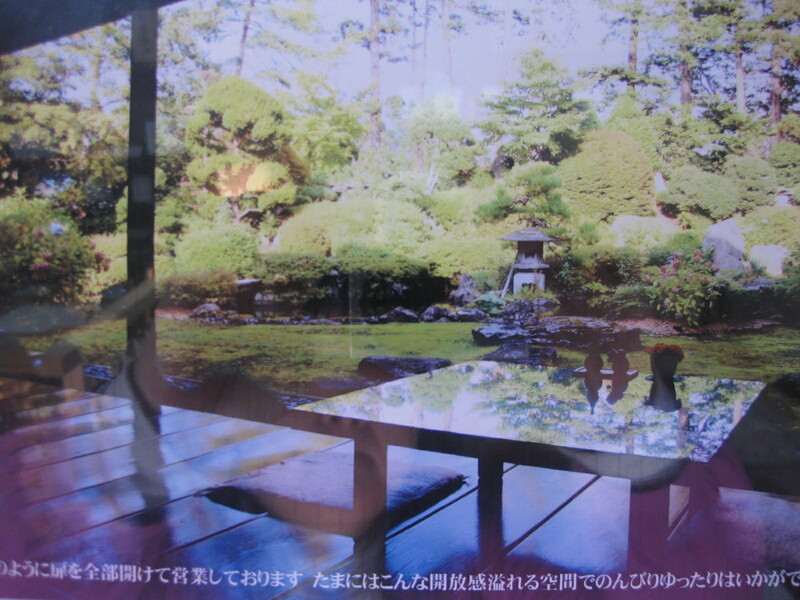 The name of this restautant is “Midori-tei”, literally the green residence. 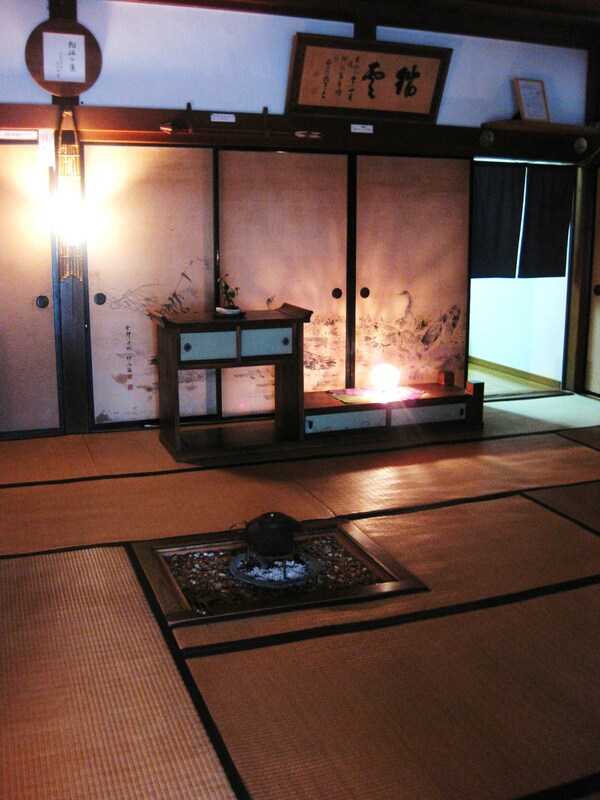 First you will find the tatami room where beautiful and valuable ornaments are displayed. By passing through this room you can enter the dining room. 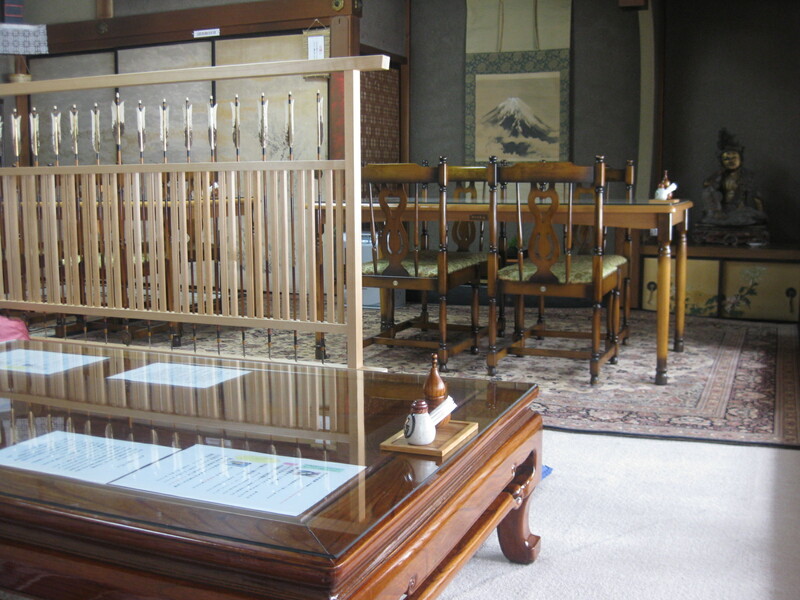 There are Japanese low tables and also dining tables and chairs. It’s good you have a choice. Some foreigners are obviously not comfortable sitting on their heels. This is Cold Soba with Grilled Duck(1,150yen), which actually wasn’t on the menu, but the chef accepted my picky request. Thank you! 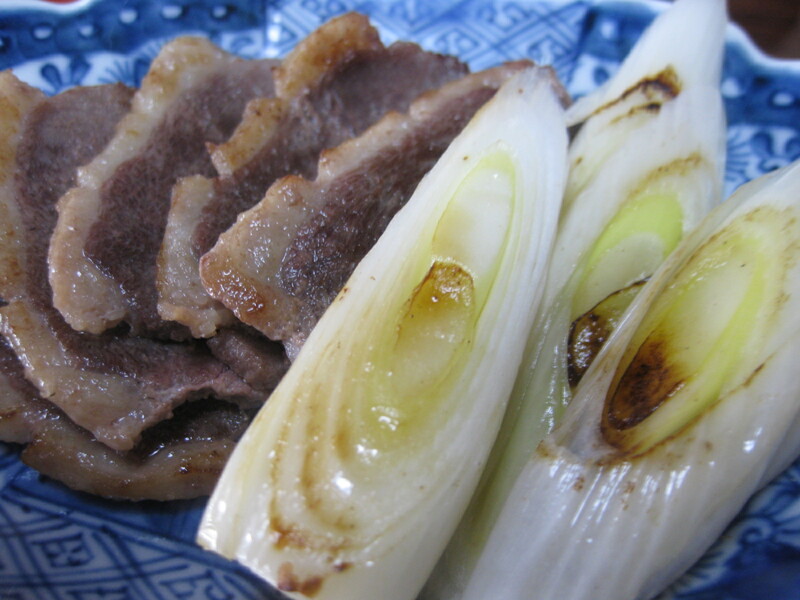 Japanese green onions get very sweet when grilled, ducks and green onion are said to be the perfect match in Japan. Soba was delicious with a dipping soy-sauce broth not too sweet compare to the average soba broth taste in Aomori. You might think foods are a bit pricy, but I could tell all ingredients are carefully selected and it’s taking a lot of time to make the soba and broth, and not using any food additives or chemical seasonings. After enjoying the meal, you can appreciate many beautiful classical objects. 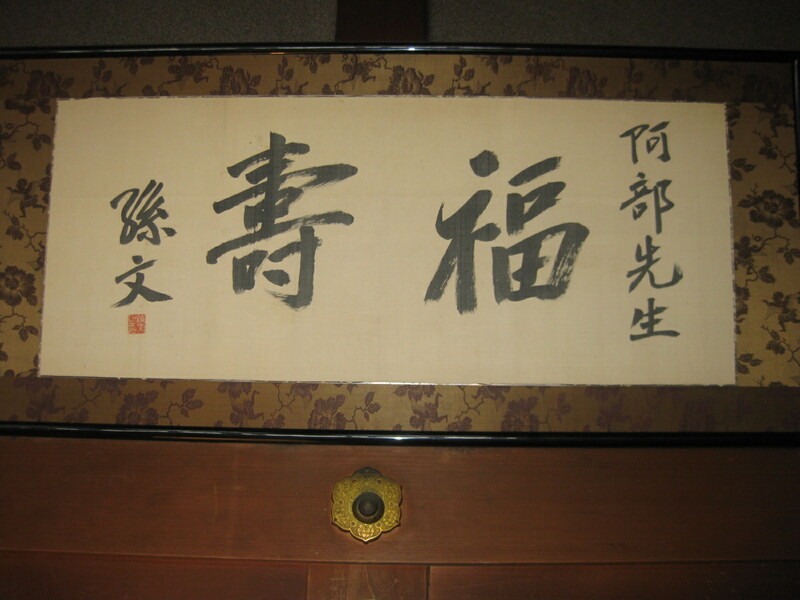 I was very surprised to find this framed calligraphy, which proves that the owner of this residence used to have a friendly relations with Sun Wen, a very famous revolutionist and a governor of China. In spring, summer and fall you can enjoy viewing the beautiful Japanese garden. I heard all windows facing to the garden will be removed during summer, and you can enjoy fresh air and perfect view from your table. It was covered with snow when I visited this place, so I’m ready to visit again soon! I found the website of this restaurant in English. Some English sentences are not really making sence probably because it was done by the auto translator, but they have beautiful pictures which are worth visiting to know more about this restaurant. 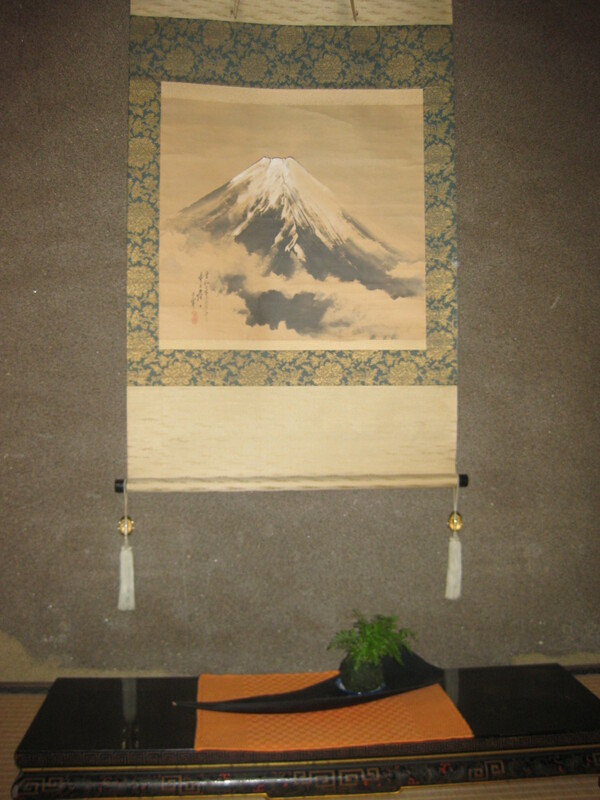 Mrs. Abe, who is a mother of the chef and also a co-owner of this residence can speak English. 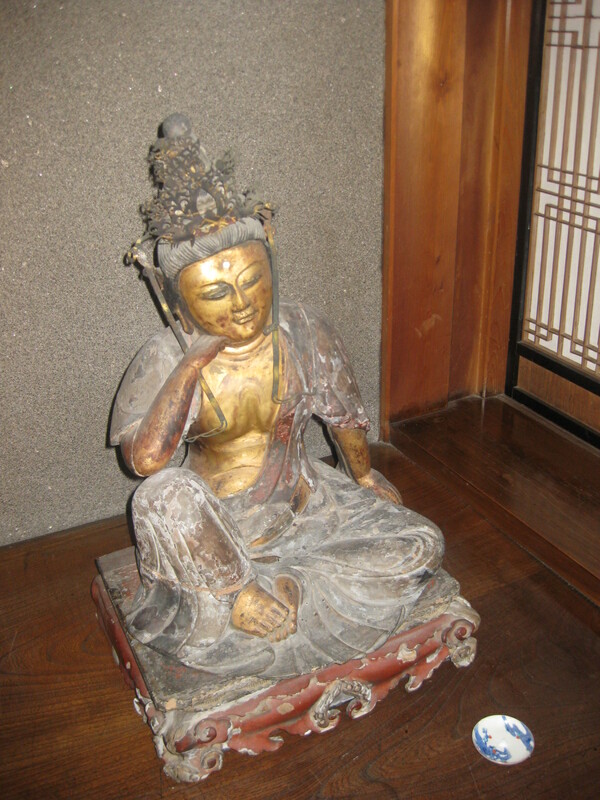 She would enjoy talking to you in English and can show you around this great historical Samurai residence.